For people who would like to share the wireless connection from someone e.g. neighbour (of course by their consent) with multiple devices might face the issue of having to connect a device, such as the Fritz Box for making VoIP calls, via ethernet and connect it by some mean to the internet. I essentially rely on ssh and command line for the raspi, using https://www.howtogeek.com/167425/how-to-setup-wi-fi-on-your-raspberry-pi-via-the-command-line/ since I have no screen or keyboard/mouse connected. I setup wlan0 as my wireless interface. Based on https://raspberrypi.stackexchange.com/questions/48307/sharing-the-pis-wifi-connection-through-the-ethernet-port I used for NAT iptables for DHCP isc-dhcp-server and for DNS dnsmasq. At this point I could already connect my Fritz Box successfully and have VoIP functionality. Of course from time to time I need / would like to be able to access the raspi for maintenance and by remotely I really mean via internet, so I’m not closely located. The raspi is behind another NAT and I am not able to change the routers configuration, no port-forwarding and alike. After reading some time I found autossh as a handy tool to establish and maintain a ssh connection. Well, that does not really seem to help but the actual workhorse here is ssh and constructing a reverse tunnel. For this purpose I used https://raymii.org/s/tutorials/Autossh_persistent_tunnels.html to create a reverse tunnel to connect to my computer at home. Hmm, yeah in principle but since I’m a customer of Unitymedia, which provides good internet speed but unfortunately I wasn’t so lucky to get a IPv4 address, only IPv6. Is that a problem? Not really, but one just has to move some services to others which do support IPv6. # try to get out! 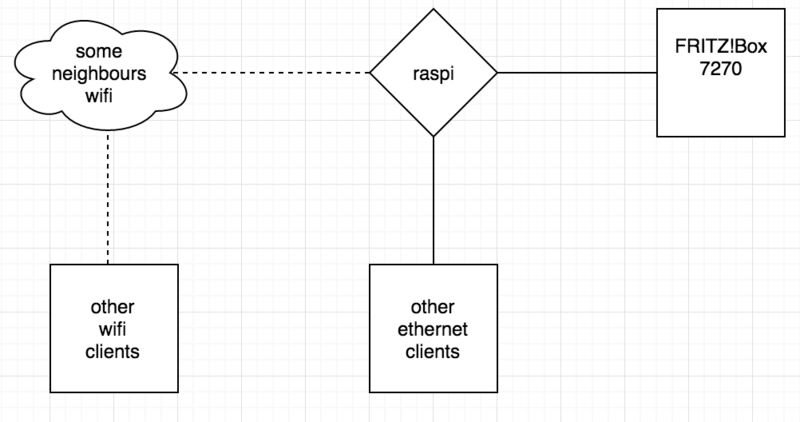 By changing the content of rasbora_start_autossh.txt on the webspace the raspi connects to my machine on demand.